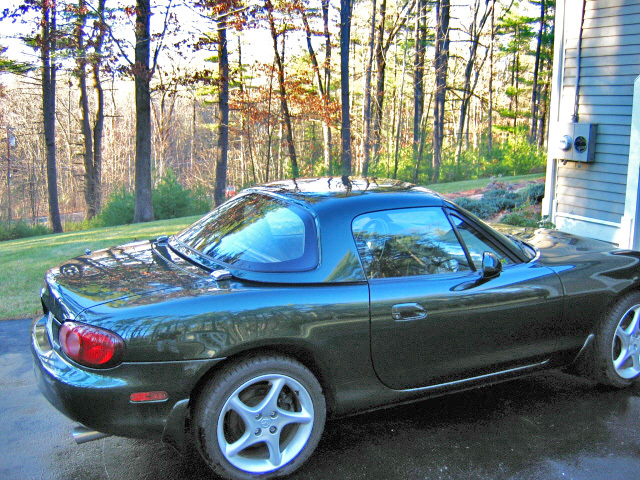 This is the factory hardtop after I had it painted. It was Sunlight Silver when bought used. Actually it did not look that bad as a two-tone. This is a must have accessory for the Northeast part of the US. Ironically, I sold it about 9 months later after buy the new 2007 Roadster Coupe.